FortySomething FirstTime Mum: A Mum at last! 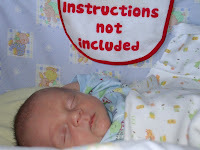 As you can guess from the title of this blog, I am a forty something first time mum. Or as we say here in Ireland 'Mam' or 'Mammy'. I am writing this blog for therapeutic purposes and to reach out to other more mature mothers. It can be a lonely business being a forty something first time mum.I want to 'speak' to others about my experiences and hopefully hear of the experience of others. As time goes on, I also hope to provide helpful information and tips on our situation. Many of my peers have older and even fully grown children. Others have none at all. I attended a mother and toddler group when my little boy was really young. The facilitator asked me if I was my two year old son's 'nana' (grandmother)! My illusions that I looked pretty good for forty two, as I was at the time, were shattered.. I had read of the terms 'ageorexia' and 'fatorexia' and wondered if they referred to me. When I looked in the mirror I saw a fairly slim young one looking back at me!! I didn't sign up for the next leg of the group as it reminded me that I am indeed a bit of an oldie. Most of the other mothers and fathers were at least ten years younger than me. Maybe you are wondering, if I am so worried about being an older mum, why I left it so late? The answer I will give now is I really do not know. The answer I would have given in my twenties and thirties about not having children would have been that I did not want to be poor, trapped and miserable. After all, that's what had happened to my mother for part of her life, not to mention some of my peers, who had children at a young age. And so, I spent my twenties and thirties in a partying haze, pushing kids to the very bottom of my list. Even when I married at age 34, I wasn't that keen on having children. Luckily, my other half did not pressurise me or seem to mind too much. In fact, he once said he thought I was too immature to have kids! The pot and the kettle come to mind in that regard! We both had good full time jobs and enjoyed going away, drinking and going out for meals. I didn't believe in the biological clock either or that it would ever tick for me. What a shock I was in for! At around age 38 , I suddenly started to take a big interest in my nieces and nephews. Although I loved them, I really couldn't be bothered before. My brothers never asked me to babysit much and everyone said I preferred animals to kids! I guess, in hindsight, it would have seemed that way, but deep down I think I was just trying to avoid the whole issue. I had issues around childbirth and parenthood for sure. I couldn't even bear to hear about childbirth or watch a scene on TV involving it. I felt it was a humiliating and degrading experience for the woman and that as usual the man got off scot free. It really scared me when I started to ogle babies in their prams, and wonder what it would be like to have a child of my own! What was happening to me? Had I been wrong about the biological clock because it sure seemed to have started ticking for me, however late. I started to feel I wanted a child and my husband started to feel the same. We tried, but unfortunately nothing happened except a miscarriage. I didn't even realise that was what it was at the time so ignorant of all things of that ilk was I! As time went on and I hit the age of forty, I decided to forget about the whole idea. By that stage I felt that it was probably my own fault that I could not conceive and carry a child. I had spent the best part of 38 years saying I did not want children.I had completely shunned the whole idea. Now it seemed as if my body was responding in kind. I remember someone saying to me at that time, that since I was forty, I might as well face the fact I would never have kids. I was sad but decided to get on with life and not think about it. Parenthood is not the path for everyone and it is not in everyone's life journey. I thought that was probably the case with me.I didn't want to go down the ivf route as I had seen before how it takes over peoples lives. I went part time in my day job, set up my own dogwalking and petsitting business and felt for the most part content with my life. Then, at the age of 41, it happened! I was pregnant! And whats more I was over three months gone before I even realised. I had lost track of my cycle because I had put it out of my mind. I was not sick and had no other symptoms. In fact, I felt great and had loads of energy. It was only when my husband asked me if I had been keeping tabs on my cycle because he hadn't heard me complaining about it for yonks, that it even crossed my mind. I was soooooooooo happy when the test came up positive. In fact, two tests and the one at the doctors came up positive, positive, positive!! Other people were shocked and urged me to have all manner of tests done because of my age. I went for some private counselling just to be sure it was something we could handle. We then decided that we would forego the tests and just accept whatever and whoever was sent to us. I just knew then, that even if those tests had showed up any abnormalities we were ready for it. Some would say you are never ready for that and I know the reality might be different but at the time we felt that way. 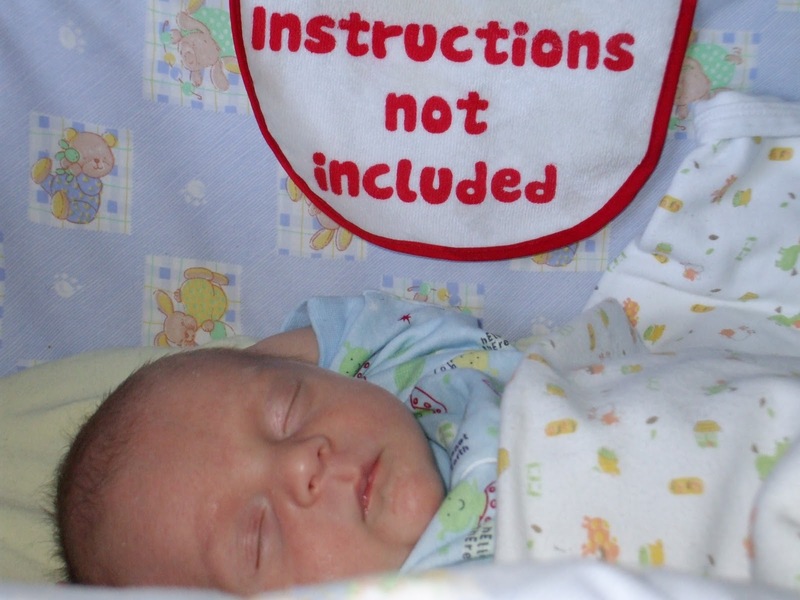 Thankfully, all was perfect and in November 2007 our beautiful son was born. It really was the best day of my life! Now I knew what people meant. If I had known before what I found out that day and what I know now, I would have tried to have children a lot earlier. I realise now that even if it did cause me to be trapped, that having a child is a wonderful, beautiful blessing. In fact, parenthood has not trapped or frightened me in any way. Of course it has and will have it's challenges but so far it is a bonus and an enhancement to my life.I can speak for my husband there too. If you are an older mum or 'later mum' as I have heard it termed, I would love to hear your experiences and comments. Bravo!!! What a compelling and heart warming piece. It's from the heart, to other mom's and mom's to be at any age. Things happen when it's best for them to happen. You weren't ready for your child before 41 and that's perfectly ok. I know that my husband and I were completely ready for whatever our baby threw at us (literally and figuratively) when we had him, before we did we were selfish and perfectly happy as a couple which was ok too. I imagine you and your husband were the same way. To parenting. And, by the way, don't have another for the sake of a sibling, another will happen if you're all ready for him/her. Hi Neighbour - glad to have read your blog - it's an absolutely amazing experience to be a Mom and I am so glad you went for it - I too experienced loss having had two miscarriages after my daughter and thought I would never have another - but some medical intervention and the wonderful drug "lovenox" (I have a blood disorder that causes me to develop clots while pregnant) - and my beautiful son was born a year and three months ago. Delighted to find your blog. I had my kids at age 33 and 35 and planned to have another 2 by the time I was 40. 3 miscarriages later (had no probs with first 2) and lots of infertility treatment and aged 41 this month, we are going to adopt. But I so empathise with your feelings re not being maternal, even when I was pregnant with my first, I was wondering how on earth I could breastfeed and bond with this thing that would cry, smell and not ever sleep. Ok, he never slept but he was a gorgeous baby and I ended up breast feeding him till he was 2 so I sort of turned into an earth mother - far cry from the woman who was going to thrust him into the creche at 8 weeks and head back to work! I hope you have another baby - best of luck. Thank you for sharing your experiences with the world. What amazes me is how people like to scare pregnant women--especially older pregnant women, saying things like, "I know someone over 40 who had a baby born still born." Okay, well, that may be true, but I know that people under 30 also could have this trouble, and why are you telling me that when I am 39 and pregnant? Or when I complain about not sleeping or being tired, people will say, "Well, it's harder on you because you are older." EGADS. I would never say that to someone. My husband and I tried for a couple years before it happened and we didn't get married until I was 35, so. . .what was I supposed to do? I thought about writing a humorous book about being older and pregnant and all the dumb things people say to you. But. . .I think currently I am too close to the subject. I am sorry to hear about your miscarriage, and I hope you will keep trying if that's what you and your husband want to do. I tried to do this once, so if it ends up appearing twice, my apologies. I thoroughly enjoyed reading this even though I never, ever wanted kids and am glad I never had them. I have a niece and nephew and they were my parenting experience, but only after they could tend to their own needs (dressing, bathing, bathroom). I told my sister I did not do diapers. I do look at babies and sometimes wonder if I was right never marrying or having kids, but then I think of what kind of mom I'd be and realize I was right to not do it. The only time it makes me pause is when I think about who will be there to care for me when I am as old as my parents and I have no one. Then I remember the monthly fee I pay to my long-term care insurance company that will cover my nursing home fees. Keep up the good work writing this blog! Congratulations on your beautiful baby boy! I love the picture. So true - they don't come directions!